Job Searching? Clinics may be your solution. 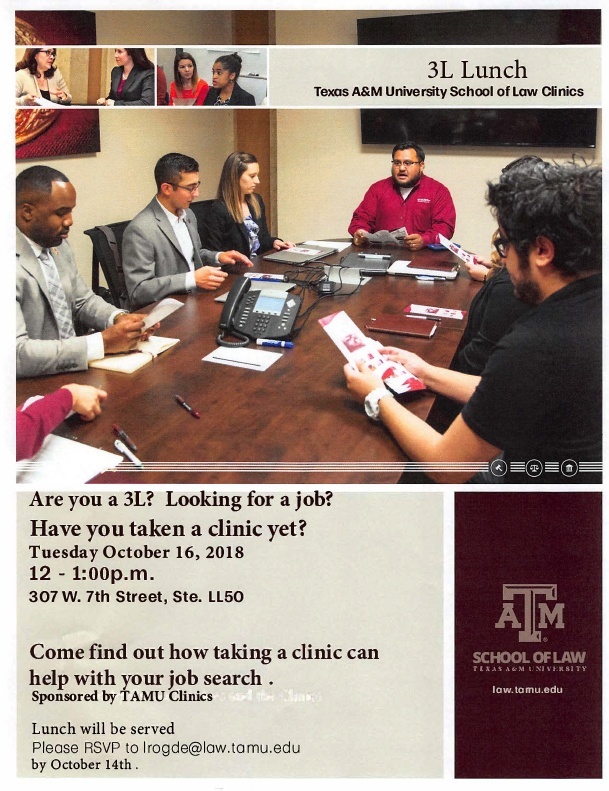 Texas A&M University legal clinics give students the opportunity to apply their skills to work on behalf of actual clients in a variety of practice areas. Learn more about job preparation through clinics Tuesday, October 16, 2018 from 12 - 1 p.m. at 307 W. 7th Street, Ste. LL50. This event is sponsored by Texas A&M University School of Law clinics program.